The critic must understand the terms of the antagonism. Every exceptional work was the result of a prolonged successful struggle. Innumerable works involved no struggle. There were also prolonged yet unsuccessful struggles. To be an exception, a painter whose vision had been formed by this tradition, and who has probably studied as an apprentice or student from the age of sixteen, needed to recognize his vision for what it was, and then to separate it from the usage for which it has been developed. Single-handed he had to contest himself as a painter in a way that denied the seeing of a painter. This meant that he saw himself doing something that nobody else could foresee. The degree of effort required is suggested in two self-portraits by Rembrandt. The first was painted in 1634, when he was twenty-eight; the second thirty years later. But the difference between them amounts to something more than the fact that age has changed the painter’s appearance and character. 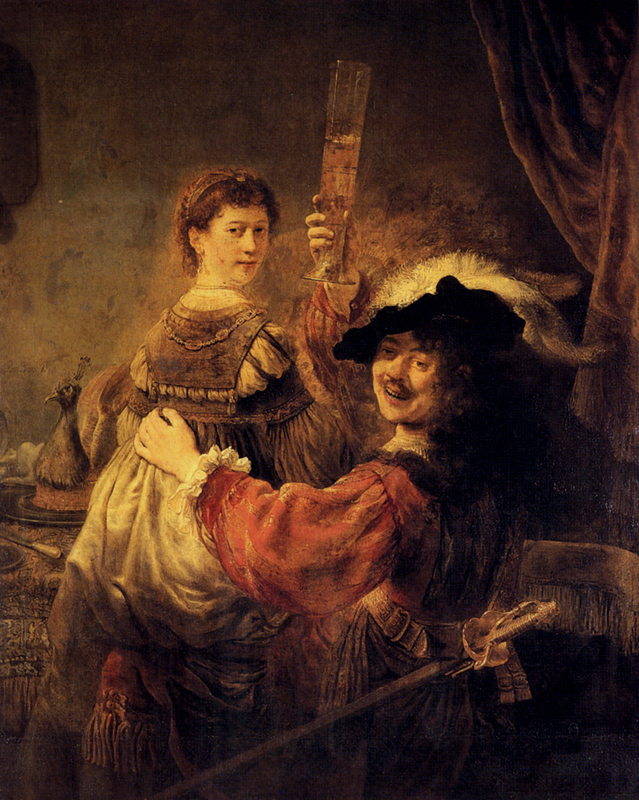 The first painting occupies a special place in, as it were, the film of Rembrandt’s life. He painted it in the first year of his marriage. In it he is showing off Saskia, his bride. Within six years she will be dead. The painting is cited to sum up the so-called happy period of the artist’s life. Yet if one approaches it now without sentimentality, one sees that it employs the traditional methods for their traditional purposes. His individual style may be becoming recognizable. But it is no more than the style of a new performer playing a traditional role. The painting as a whole remains an advertisement for this sitter’s good fortune, prestige, and wealth. (In this case Rembrandt’s own.) And like all such advertisements it is heartless. In the later painting he has turned the tradition against itself. He has wrested its language away from it. He is an old man. All has gone except a sense of the question of existence, of existence as a question. And the painter in him who is both more and less than the old man has found the means to express just that, using a medium which has been traditionally developed to exclude any such question. At the age of sixty-three he died, looking, even by the standards of his time, very old. Drink, debts, and the death through the Plague of those nearest to him are amongst the explanations of the ravages done. But the self-portraits hint at something more. He grew old in a climate of economic fanaticism and indifference—not dissimilar to the climate of the period we are living through. The human could no longer simply be copied (as in the Renaissance), the human was no longer self-evident: it had to be found in the darkness. 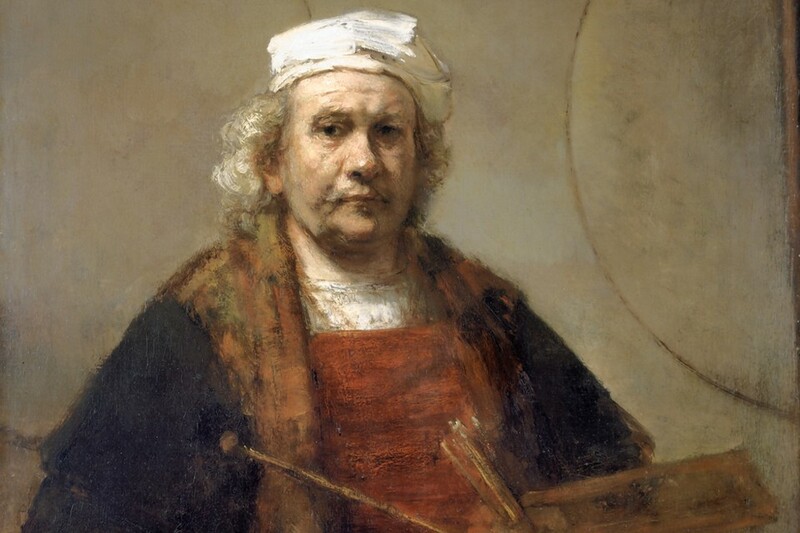 Rembrandt himself was obstinate, dogmatic, cunning, capable of a kind of brutality. Do not let us turn him into a saint. Yet he was looking for a way out of the darkness.